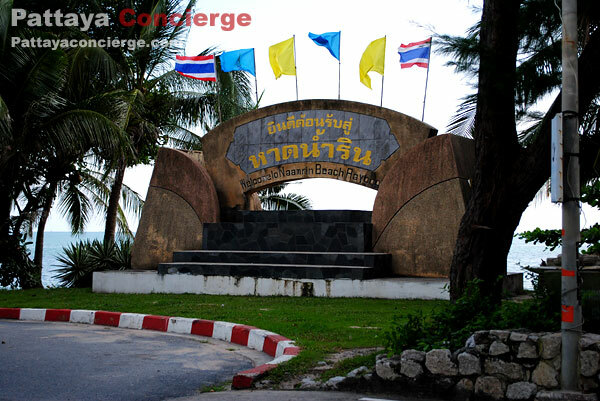 Namrin beach is recently introduced as a beach in Ban Chang District. 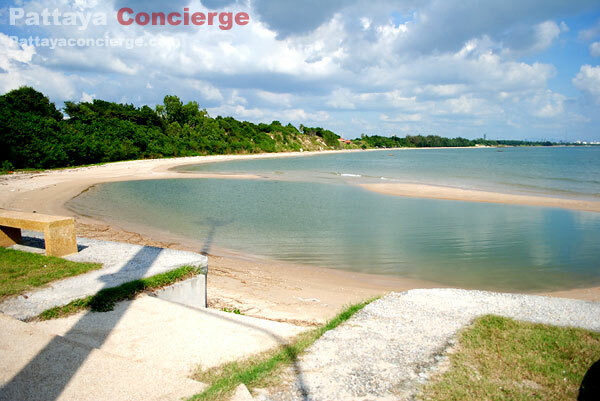 It is provided with several resting spots for visitors to take a seat enjoying gently sea breeze. 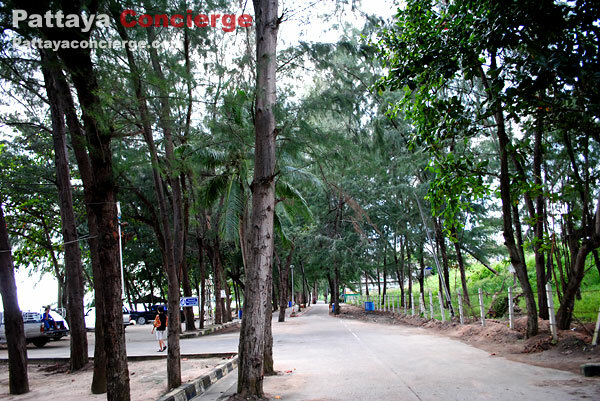 Plus, there is also a public park next to the beach so that visitors can have more activities to enjoy with their kids. Industry scene is also applied here, in the park, for either day time or evening time. It is in fact the most interesting beach in this area. 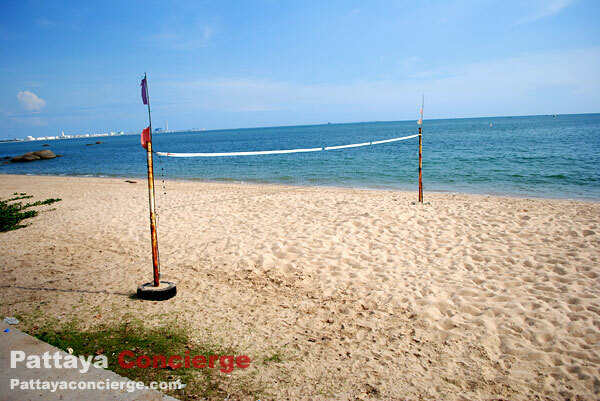 If you want to go to a beach in Ban Chang area, this one will certainly be the first choice. 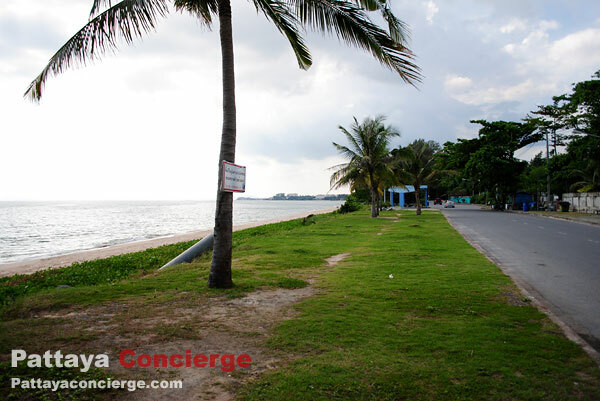 Namrin Beach is not a long beach, situated close to Phayoon Beach. The beach here is clean and beautiful. Its water is crystal clear enough to attract visitors to go swimming. However, it seems to be that there are not many restaurants around the beach. 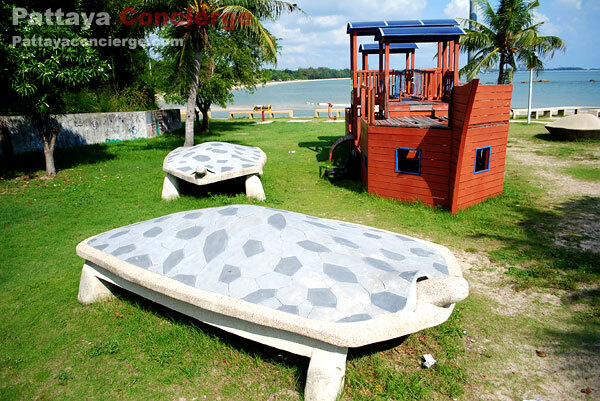 Water activities are also not available because the beach is quite rocky area. Many visitors come here for picnic and relaxation on the shore. There is also a public park for kids to enjoy. In other words, this beach is suitable for tourist family to go enjoy because they can spend their time on both in the water and on the shore. 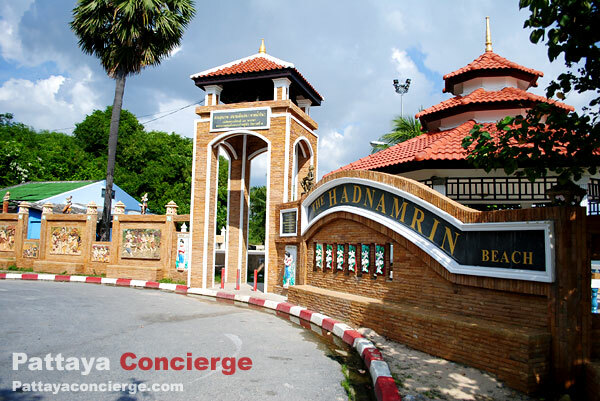 The park is built in order to celebrate 84 years old of King Bhumibol Adulyadej, King Rama IX. When visitors come to this beach, there is one thing they usually do. It is to take a photo with dugong marble sculptures as a memento of their holiday. 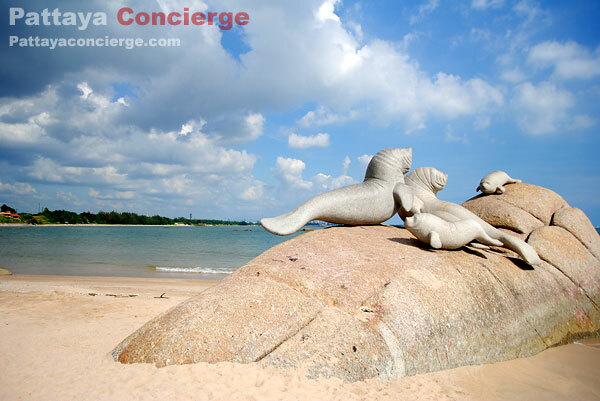 There are five of dugong marble sculptures, which is a family – 1 father, 1 mother and 3 children. Therefore, when visiting there, don't for get to make your memento. 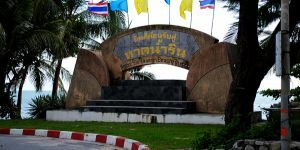 From Rayong city, go to Ban Chang District by Sukhumvit Road, there will be the sign to turn left to Namrin beach. After that, go straight on for a while and try to follow the beach direction sign. The beach is situated not far from Mabtaphut industrial plant.